You have 3 different sizes to choose from: Newborn, 0-6m and 6-12m. Please select your desired size from the drop down boxes provided. PLEASE CHECK MEASUREMENTS before ordering this Infant Item!! 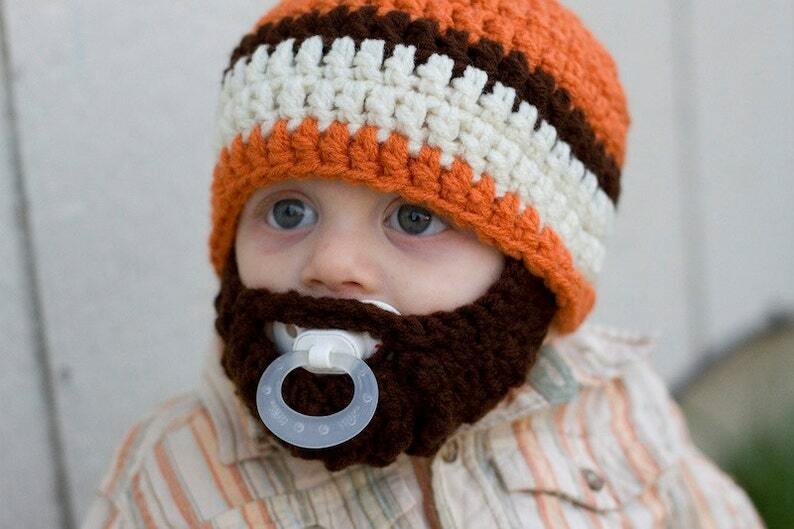 If ordering for a 12+m old, I would order a kids beanie instead. It provides much more room to grow and less returns! The beard comes sewn into the beanie with bows so it can be adjusted as needed. Have a great day and thanks for your visit! It was really cute and my son loves it.